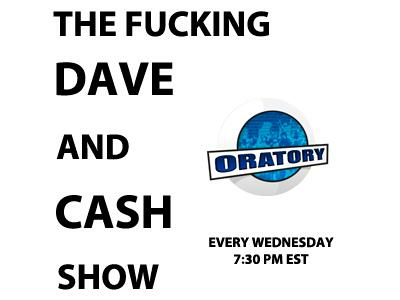 The F'ing DAVE and CASH show #7 - MF'er of the year begins! Join us this evening at 7:30 EST as we discuss the bracketing for our MF'er of the Year tournament! We will preview the matchups that will start this evening and we will also announce our super secret special MF'er of the Year prize. Trust us..you will want this one! We will do the "what men think" show some other time.